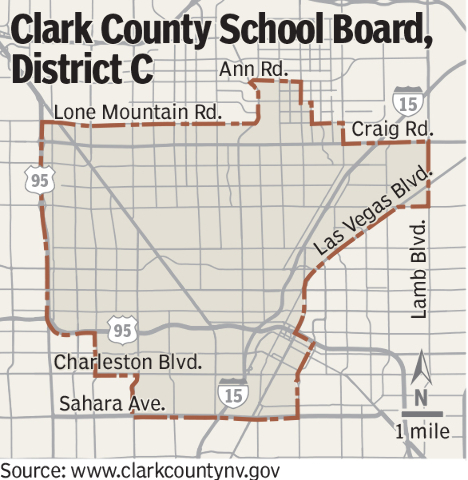 Banning high school football, opening schools in vacant shopping centers and shrinking Southern Nevada’s chronic teacher shortage to less than 100 positions annually top the priority list of candidates crowding the District C election for the Clark County School Board. 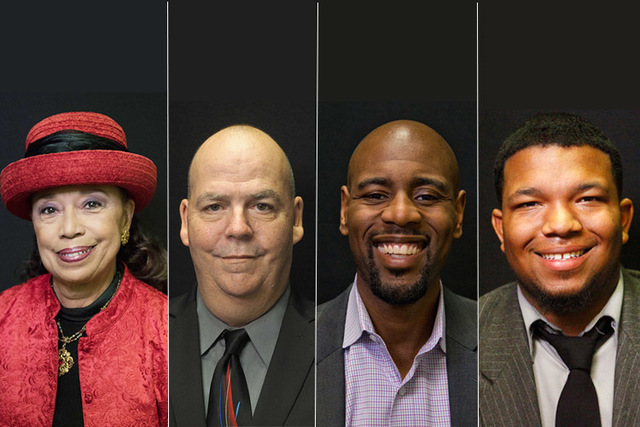 School Board President Linda Young faces five challengers in her pursuit for a third and final term to the seat, which represents schools that serve some of the highest shares of students from low-income households and English language learners. And many of those at-risk campuses also tend to start each school year with the greatest number of classroom vacancies, leaving thousands of students who need the most help without a qualified teacher to provide it. To address the teacher shortage, Young has pitched raising salaries for all educators. A recently negotiated contract provides a minimum salary of $40,900 and maximum salary of $90,877. Her “top five” list of priorities also includes strengthening curriculum for all students, lobbying for more money for the district and “rallying” the community — parents, churches, businesses — around education. A change in state election rules would allow any of the six candidates to claim an early victory and avoid a general election should they secure 50 percent plus one vote of all ballots cast in the primary. If no single candidate receives a majority, the top two candidates face off in the general election. The teacher shortage remains the No. 1 priority for Adam Johnson. He suggested a starting point to address the teacher shortage is gathering data on why teachers leave the district, which does not perform exit interviews for departing educators. Johnson also wants to increase autonomy at each campus, judge the “return on investment” for each budget decision and focus more on the teacher pipeline with community partners. “I truly believe we should have a model for retaining, rewarding and developing teachers to allow us to start every school year with fewer than 100 vacancies,” he said. Antonio Bowen, the youngest candidate in the race, said he isn’t running against Young. “I am running for a seat that hasn’t worked to its full potential,” the 20-year-old Rancho High School graduate said. Bowen proposed requiring more interaction between teachers and parents and partnering with local businesses to develop work opportunities for students during seasonal school breaks. Navy veteran Mark Melton, meanwhile, wants to turn vacant stores and shopping centers into educational facilities for school gymnasiums and classes. He also aims to raise the graduation rate from 72 percent now to 90 percent or above. “When students step out (of the district) and take that robe and cap off, they are educated and well-rounded to go face-to-face with an employer and talk to them about a job,” Melton said. Russell Davis pitched perhaps the boldest proposal of any candidate for District C: He wants to ban high school football and any competitive sport that could pose a risk for concussions. “What is right is not always popular, and what is popular is not always right,” Davis said. Davis also wants to reform the school lunch program, start a feasibility study for turning high schools into boarding programs and more. As for Walter Jones III, he emphasized the need to cut costs in the budget, increase accountability for all adults in the system and fight for more money for K-12 during the legislative session next year.